The ancient papyrus called Cairo 85637, is the oldest persevered historical document that includes data of ‘naked-eye’ observations of the variable star Algol, or beta (β) Persei. This calendar -dedicated to Algol, a manifestation of Horus, the sky god of Ancient Egyptian mythology contains forecasts of good or bad luck for every day of a year. “The texts regarding the prognoses are connected to mythological and astronomical events,” says Master of Science Sebastian Porceddu. Researchers at the University of Helsinki have conducted a statistical analysis of the mythological texts of this calendar. Their analysis revealed that periods of Algol (2.85 days) and Moon (29.6 days) strongly regulate the actions of the deities in this calendar. “These eclipses last about ten hours and they can be easily observed with unaided eyes. Their period was discovered by the British amateur astronomer John Goodricke in the year 1783,” says docent Lauri Jetsu. The variability of Algol was first recorded in Modern times in 1670 by Geminiano Montanari. However, recent research confirms that the variable star and its period were discovered much earlier than previously thought. It seems pretty clear that the Egyptians studied for 3 millennia such variability and indicated that the period of Algol was 2.85 days. For religious reasons, the ancient Egyptians recorded this period in one ancient papyrus, describing these repetitive changes. This also confirms the two “modern” astrophysical results reported by a group of researchers from Helsinki in 2013: The first direct observation of the expected increase in the period of Algol and an accurately estimated long-term mass transfer in this binary system. How ancient Egyptians had the ability to make incredibly difficult yet accurate astronomical observations is still a mystery for modern-day scholars. These accurate measurements made thousands of years ago, provide useful constraints for modern astronomers around the globe. “I would have serious doubts, if someone claimed, for example, that the Bible contains information about water in Mars. 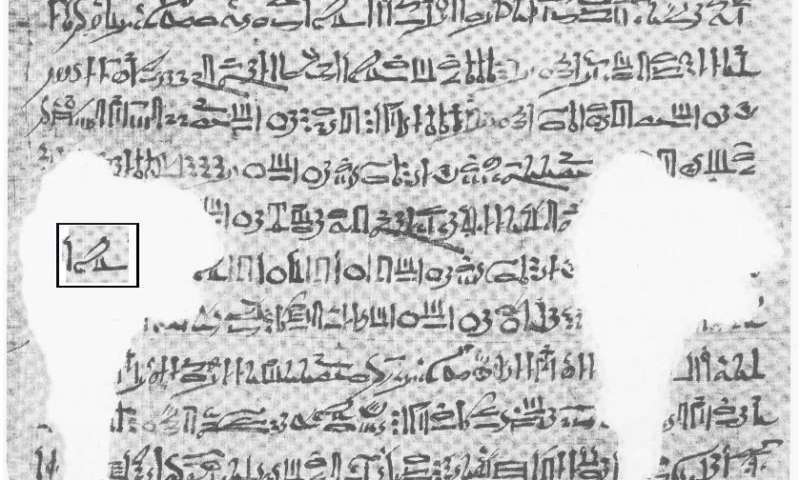 We claimed that Ancient Egyptian religious texts contain astrophysical information about Algol. It was no surprise to us that there were, and there still are, sceptics,” says docent Lauri Jetsu. The above post is reprinted from materials provided by the University of Helsinki.